RAM® Mounts offers a wide range of mounting solutions for your Samsung phone and Samsung tablet. With everything from form-fitting cradles to the popular RAM® X-Grip®, securing your device wherever you need it has never been easier. The versatility of RAM® systems allow you to efficiently move your device between your boat, car, desk, motorcycle, and much more. With IntelliSkin® and GDS® Technology™, protect your Samsung phone and tablet from drops and rugged use with standardized GDS® charging pins. Compatible with a variety of GDS® vehicle docks and accessories. Explore the full line of Samsung device mounts below. 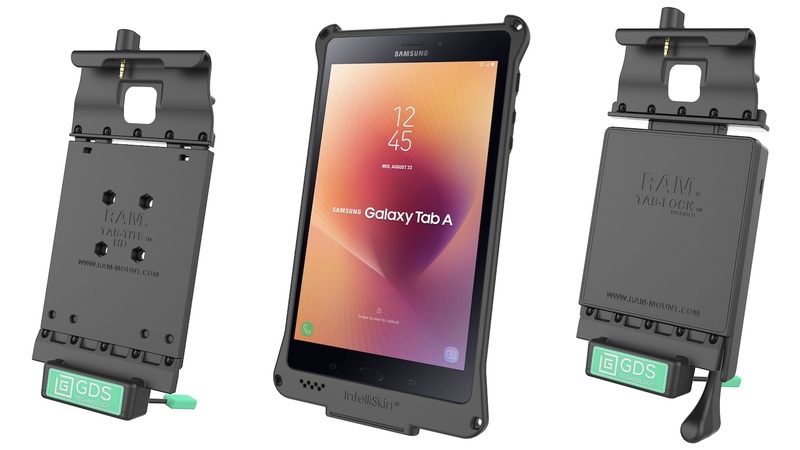 RAM® has partnered with Samsung to develop three powered vehicle cradles for the Samsung Galaxy Tab Active2, including non-locking, combination lock and keyed lock versions. These cradles both charge and protect the tablet, and are designed to meet the demands of applications such as field services, logistics, manufacturing, transportation, and more. 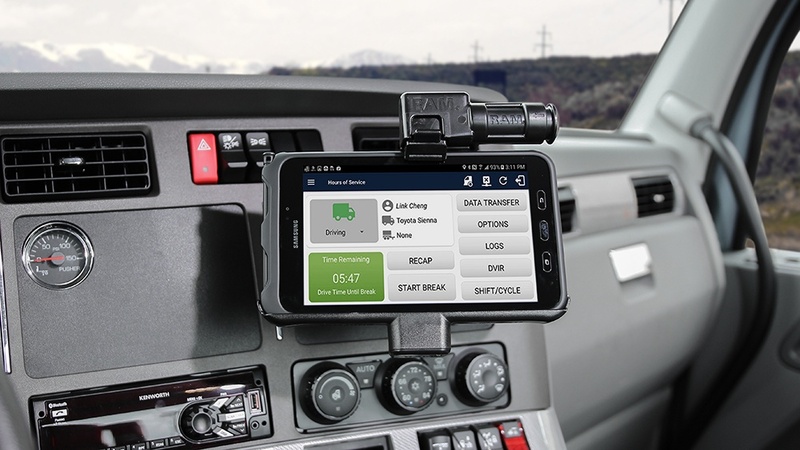 All three versions conveniently connect to any RAM® vehicle base, while the rubber ball and socket system allows users to efficiently switch between portrait and landscape modes. For instances when the tablet is left in a vehicle, the keyed and combination lock versions provide added security and theft deterrence. With a wide variety of phone mounting solutions available, RAM® has Samsung Galaxy phone owners covered. Take your device nearly anywhere you need it with the popular spring-loaded RAM® X-Grip® phone cradle. Choose from several different bases that are ideal for a variety of applications, including boats, cars, motorcycles, and much more. Keep your Samsung Galaxy tablet secure in the most demanding applications with trusted mounting solutions from RAM®. Take advantage of spring-loaded holders like the RAM® X-Grip®, RAM® Tab-Tite™, and RAM® Tab-Lock™ – compatible with a huge selection of bases so you can mount your tablet whether you’re hitting the road or taking flight. Designed for Samsung phones and tablets, IntelliSkin® is a protective sleeve featuring GDS® Technology™ and military-grade drop protection. 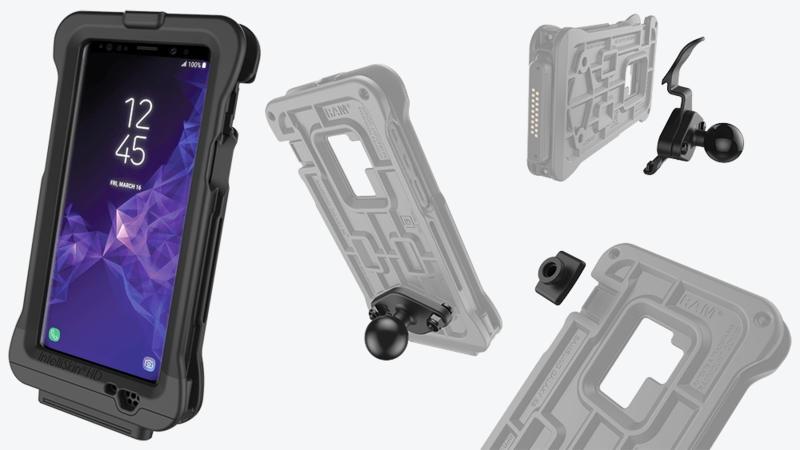 IntelliSkin® products are engineered to protect the charging port of your device, and have an integrated GDS® connector molded directly into the skin and ruggedized contacts on the skin’s exterior. With your device protected, you can utilize GDS® Docks and accessories for charging, data syncing, and more.